I am writing to you to share the latest OFSTED report for Brooke C of E VC Primary School. As I am sure you are all aware, we were visited for a short inspection by one OFSTED inspector on Wednesday 27th June. Though it was a gruelling day for all school staff, and the school was thoroughly inspected, as outlined in the report, it was also an incredibly positive day. The inspector has given a report to the school which gives us a clear path forward for the future, and really outlines so many of the positives in Brooke that drew me to the school in the first place. I am delighted to inform you all that the school was judged as a GOOD school. This judgement gives me and the staff team here in school the opportunity to work over the next few years for Outstanding. The inspector, as highlighted in the report recognised so many strengths in school. She also agreed with my judgements on the areas where Brooke needs further development and these will form the basis of school development work over the forthcoming academic year. I would like to particularly thank the whole staff team at the school for working so hard all year, the Governors for giving the school stability and drive over the course of the year and Mr Stuart Odell from Trowse Primary School, who has been incredibly supportive of me and Brooke Primary School. I am sure you will join me in thanking everyone who has supported Brooke this year and helped the school achieve this good judgement. 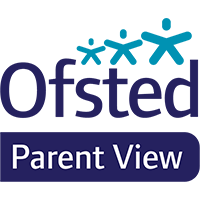 You can also visit Parent View & give Ofsted your view on your child’s school or read other parents feedback.